11/04/2019: Was told this place was amazing for good , it was ok but what a rush to get rid off people !!! Wouldn’t go back , gave it 2 because the nan bread was good. 05/04/2019: Firstly beautiful restraunt with very friendly staff. Varied and extensive menus. Great set menus also available making ut grwat value for money. 14/04/2019: My wife & I ate here last night. Nice surroundings, friendly atmosphere, accommodating staff. The food was very good & at reasonable prices. All in all a good meal & a nice night. 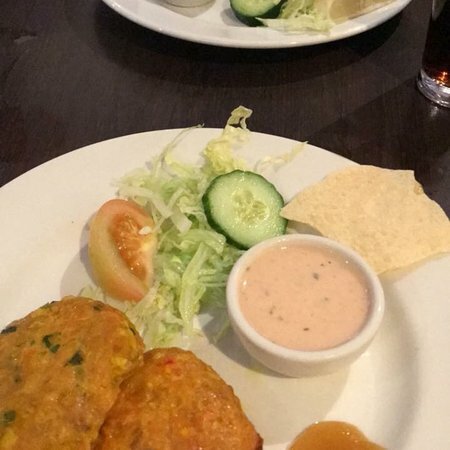 17/04/2019: We were in the area and fancied some Indian food. The food was bland, not spicy and the chicken masala sauce was basically a tomato purée with no hint of spices. The sundries are over priced, £4.50 for a paratha is pretty expensive and then we got a nasty surprise on the bill, charged £7.30 for 4 popodoms. When we queried we were told it was for the pickles!! 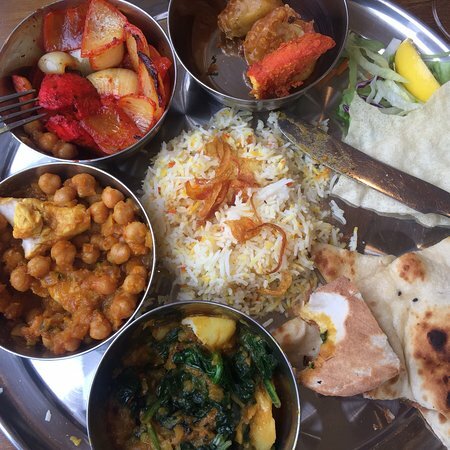 26/03/2019: Having send almost three months en route to, and in, Australia, it sounds churlish to say that I was delighted to be back home, and having lunch at Tulsi again. 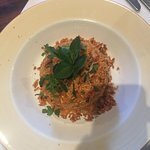 16/04/2019: Green Gates is head and shoulders above the competition in Stirling with lovely fresh flavours and a good, varied menu. The staff are always welcoming and accommodating, and I like the venue. My one criticism is the almost toxic levels of salt in some of the dishes. Please be less heavy handed! 15/04/2019: Discovered this restaurant by accident last November, made a special trip down from Inverness especially to eat here and wasnt disappointed. Selection of food brilliant and all piping hot. Staff very friendly and helpful. We’ll certainly make the trip down the A9 again. 13/04/2019: Este lugar es siempre animado y el personal es encantador. Los olores deliciosos flotan en el aire y para ser justos, la comida es bastante buena. Mucha variedad y los curries saben bien. La limpieza ha mejorado con los años con una estación de desinfectante de manos antes de comer disponible. Como este es un buffet, muchas personas están pasando y abriendo cada plato. 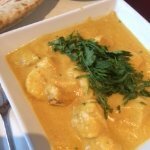 No es el mejor curry de la ciudad, pero es lo suficientemente bueno. 13/04/2019: Llegamos sin reserva ya que estábamos visitando la zona y sacaron todas las paradas para conseguir una mesa en una noche obviamente muy concurrida. No es un gran restaurante, pero nos dieron una mesa para 2 al lado. El servicio fue bastante rápido teniendo en cuenta lo ocupado que estaba el lugar. Un montón de gente recogiendo comida para llevar y cada mesa en el restaurante lleno. La comida era muy buena y apta para el marido celíaco. El personal es muy eficiente y educado. Si me quedara localmente, creo que sería un cliente habitual pero mantendré el lugar en mente para la próxima vez que estemos cerca de Stirling. Precios muy razonables. 14/04/2019: Visited without booking, got seated quickly, just as this premises became very busy. 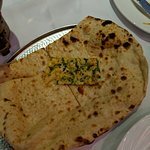 07/04/2019: Had a lovely buffet dinner here, staff very helpful and good range of freshly made indian food. Good selection of curries and pakora all very tasty. Love coming here usually no need to book. Only downside is the decor, really needs upgraded. 25/03/2019: Been coming here for years. A must for curry lovers. Can be a little pricey but definitely worth it! 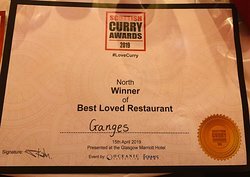 18/03/2019: Quite simply the best curry in Tayside. Great atmosphere and wonderful food. Staff very friendly and helpful. Tapas night is a must! 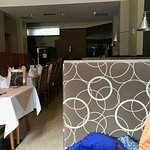 13/04/2019: Very nice restaurant with very extensive menu choices. Food was really good & very tasty. Couple of things need addressed - air conditioning right above seats not good & had to ask for water 4 times. Still worthy of a visit though as food very good. 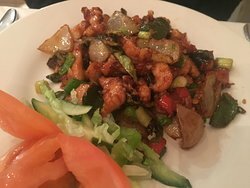 13/04/2019: Just taken delivery of a takeaway and all I can say is that it was the best I have had for years. Great service. Our thanks to Nasser and all the staff for a great service. John Thornton. 13/04/19 1830. 14/04/2019: Finally got around to visiting here as Anstruther has many places to dine out in. 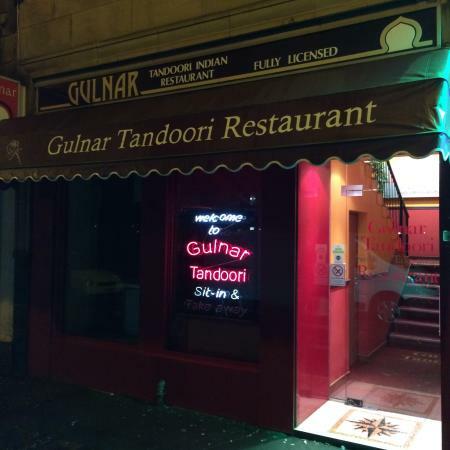 This is an excellent Indian restaurant which serves dishes cooked to a high standard and offers something different from many that we've eaten at. The lamb byriani was really good and I requested that my special dish had a few extra fresh chillies added to it. This was done without any problem and I happily played roulette and had only one too hot! My choice and it was wonderful. 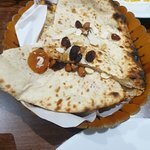 I must mention the peshwari naan which was seriously good and the best we've ever eaten. All the staff were really nice too and the restaurant was lovely and warm on a freezing cold night. We will return when next in the area. 12/04/2019: We selected our choice from the set menu and thought it excellent value. Service was very good and food well presented. We also loved the lifesized mural of the harbour. 14/04/2019: Arrived without booking shown to seating near the entrance. Noticed booked customers were shown upstairs. That said this was an excellent meal the menu was upper end of Indian cuisine and the food was well presented and plentiful. 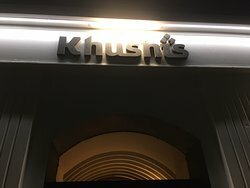 14/04/2019: Been in Khushis many times and can't fault it. Great food and excellent service. No corkage charge for BYOB either so very reasonably priced given you don't pay for your drinks. 13/02/2019: Ordered from here last night and the food was so tasty.